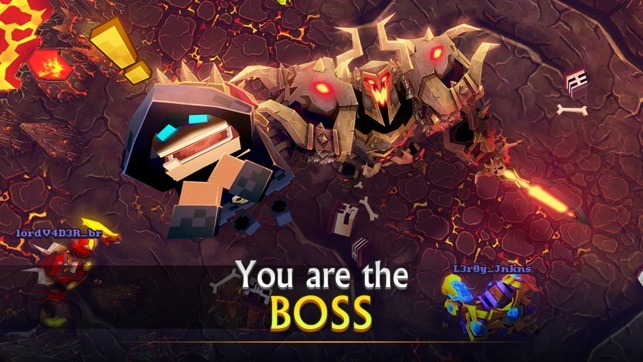 Be the Evil Dungeon Boss! Heroes of MMORPGs raid dungeons, search for epic items, go on quests and generally raid the realm for all it’s riches.. at any cost. Now it’s time to become the Boss in the role-playing fantasy world you know from MMOs, but its your territory that is being invaded, your riches, and your minions that are being ransacked! Fight off guilds of heroes trying to take your loot. 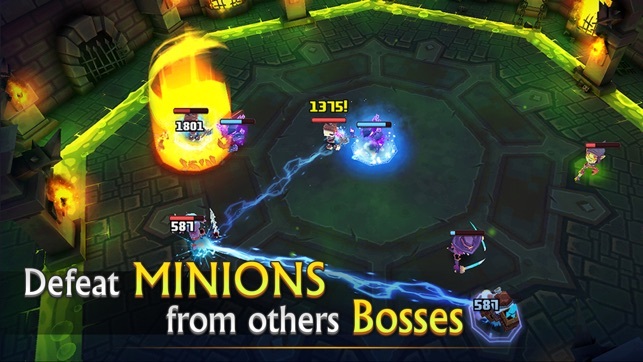 Save other mini bosses from these adventurer raids. Take out quest givers in their towns so they stop sending more adventurers to bother you. 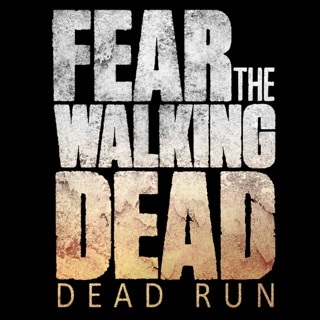 It’s time to take the dungeons back, hold your territory and be the best across the realm! + Role Playing Game – This is an RPG. You choose a boss from different races and the classic classes like fighter, mage and ranger. You will level up through a skill tree to specialize in the way you want to become the best boss in the land! + Quest Throughout the Realm – As a new boss, you will need to protect your territory. 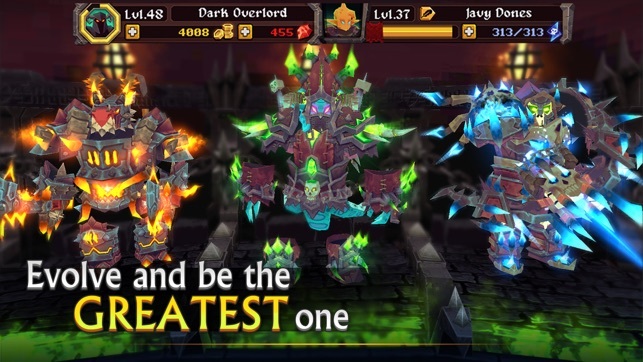 Go on quests to level up to become the ultimate raid boss in the lands. + Craft Your Gear – Like any MMO or RPG, creating the best weapons and armor is critical to your success. 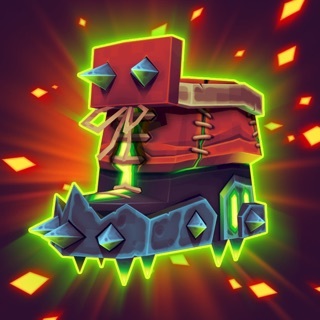 Collect recipes, minerals and gems to create the most powerful weapons and armor for your boss. + Action RPG – Real bosses don’t just stand there waiting for timers… they grab a sword and wreak havok on their enemies. 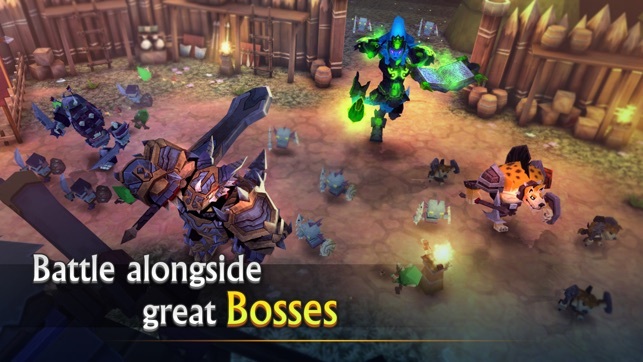 Like A Boss features real-time, fast role-playing action. + MMORPG Heroes – The heroes that raid your dungeons use tactics that you have seen before in many battles. They set up strategically, like a good adventuring group should, so tanks are in the front, healers are in the back and all the supporting classes are dealing the most damage they can. + Join a Guild – You didn’t think bosses had guilds, did you? To deal with all these warriors seeking glory, you can team up with other bosses to go on quests throughout the realm that only a group effort can handle! Time to upgrade your minions! 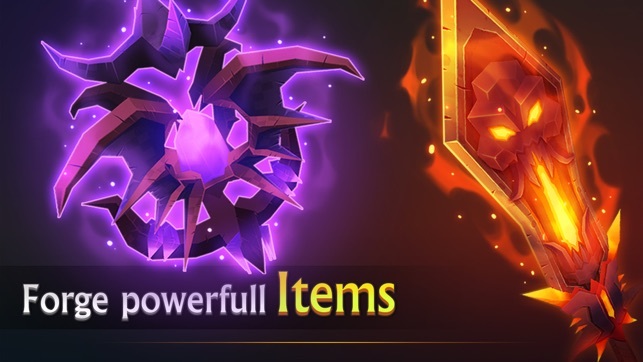 Now you can earn Minion Upgrade items in the Guild Raid! 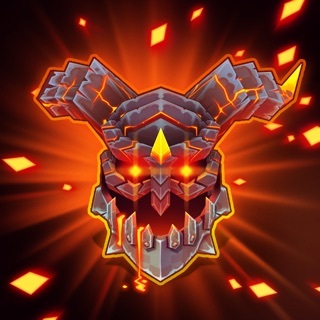 Just like the Runes each week you will be able to get upgrades for different minions classes, earn as much trophies as possible to get more upgrades! Fixed crashes when watching an ad to open the Minions Clash Cage faster. Honestly, this game is amazing. NPC Humor is great. The graphics are amazing. And your never “poor” on gems, depending on what you call poor. If you call “Oh noo I can’t buy 10 giant chest..” poor then you are always poor but that really isn’t poor. The only problem I have is that sometimes in login the loading can take really long to get a chest. Great game though, and honestly it’s not a pay to win, true, rubies cost a lot of money and for 1 huge chest, and you only get 2 complete gears are so. But honestly it’s only a pay to win if you are really impatient. Honestly the only problem with the campaign is that there are levels that you will eventually encounter that have a higher item level, meaning you might lose. 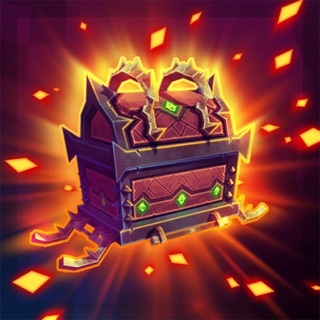 The problem is it’s pretty hard to surpass the item level depending on the stage you are at, not only that, but you can only get a certain item over tier 1 by either raiding like a hundred times, or buying a expensive chest. And guild people seem to almost never donate, not that this problem is big enough to remove one star from this amazing game, just saying. The only starting problem is that if you haven’t updated the game it automatically kicks you out without telling you you need to upgrade it. Which confused me for a while. But otherwise, this game is amazing, best MMO by far. And the graphics are amazing. There is a trend out there for 8 bit games and most attemp to make it very close to what rpg on laptop are. Meaning you can equip item andnit will modify the appearance of your guy. Furthermore, to have an 8 bit platform allows developper to add heavy duty content that other wise would make the game glitchy. So I just started playing the game and it is amazing I love just about everything about it but I have a few things now this is not a problem at all but could you maybe add more like species maybe or have dragons, or you can choose different minions something and make it easier to unlock another character slot? But now real problem, ok so I'm not sure what I do to make it happen but the game will say you have lost connection then I have to click quit game it's already happened like 5 times and I was joining a guild when it said that I was not powerful enough to join a guild and then I had to click quit game so can you try to fix this problem? Thank you, but all in all great game and I love the aspect of it. Also one last thing, was the name (like a boss) inspired by jacksepticeye because that's another reason I downloaded the game because if it was maybe you could add like some kind of species even referencing the eye, like for example, a huge eye as a head and you could change some of the colors of the eye, oh yeah maybe you could add customization like making your character have different eye colors and skin colors maybe I would love it if you could do that. Thank you very much for the review! 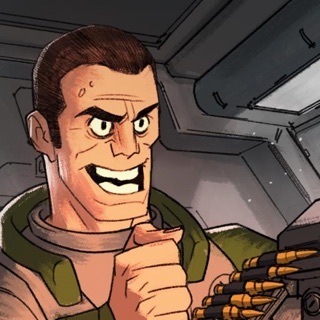 We have recently made changes in our servers that should reduce considerably the loading times and make the game much more stable, and I hope it has fixed the issues you were experiencing! Fragments, Gold, Rubies and Potions!